Jazz Cartier took the crowd by storm Sunday from the moment he stepped on stage. 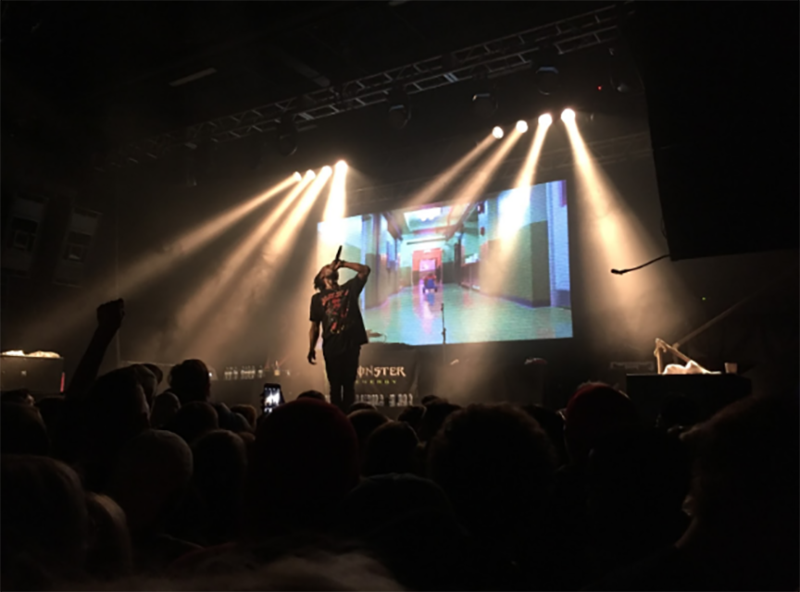 Sunday, Oct. 23, Larry June, Jazz Cartier, and Post Malone came to the Twin Cities to perform The Hollywood Dreams Tour at First Avenue. Minneapolis is known as one of the best concert locations in the country and the small time rapper felt the love. At the end of his set he praised the crowd for being so enthusiastic. With a darker tone of music, Jazz Cartier put his fans in a frenzy, inciting mosh pits and fights during his show. At the end of his set he met fans by the merchandise table and took pictures and joked around. The headline artist of the concert was Post Malone. Post Malone is one of the most unique rappers in the game. His soul rap music is easy to vibe to and great in a concert environment. Even though his set wasn’t as rowdy as Jazz Cartier’s set, he killed it in his own way. Introducing each song with a small anecdote about why he wrote it and why he loves it. He did a great job connecting with the crowd. Near the end of his set he showcased a song off his upcoming album. At the end of the concert the DJ cut the music as Post Malone stepped into the crowd and sang his most popular song “White Iverson” in acapella. It was captivating, he was a part of the crowd and connecting with each and every person in the venue. The concert was terrific, and Jazz Cartier’s dark and intense style complimented Post Malone’s soul and passion to the fullest.